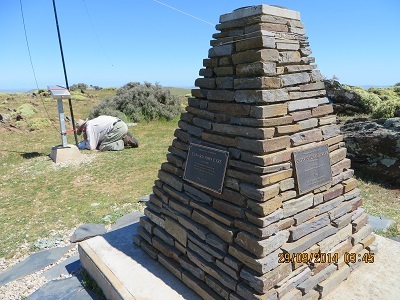 Today we climbed Mount Bryan, VK5/SE-001, 933 metres and ranked 49th highest in the State. It took us just over one and three quarter hours. It is a steep climb, but the view is great. I operated on two bands, 40 and 20 metres and my log is reproduced below. It took a while to find the best access point. 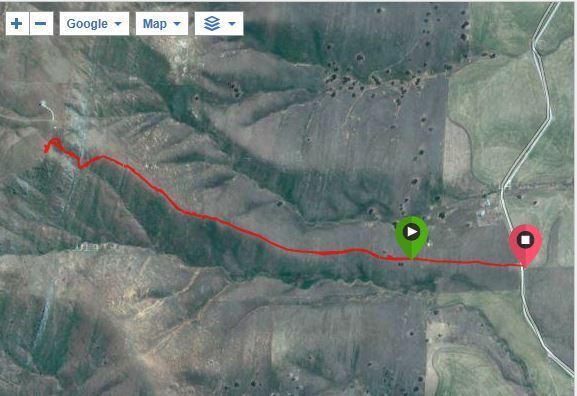 I read Paul’s blog (VK5PAS) and we visited the Wild Dog Hotel (simplified name) at Hallett to seek directions. They remembered Paul, but the person who provided the directions was not present. 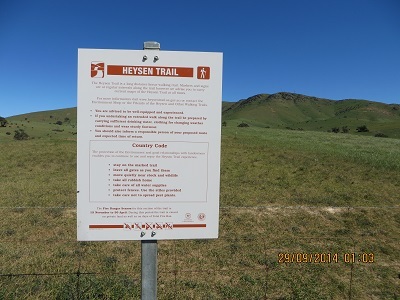 The two persons we spoke to referred us to the the Mini Mart and the owners suggested the Heysen Trail access point on the northern side, but we decided after a look, to travel along Mount Bryan East Road from the township of Mount Bryan, about 16 kilometres to the Southern end Heysen Trail point. 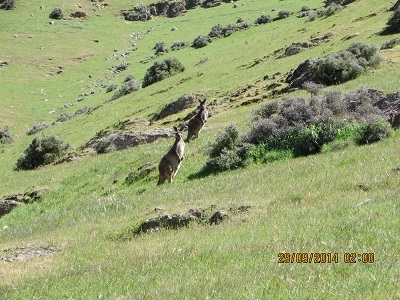 (We decided not to walk in from the northern end after being warned about snakes and seeing the long grass in the paddocks through which the Heysen Trail passes. The Trail, on private property here, is located on the fence line). After parking our 4 x 4, loading up our gear, we embarked on what was a hard walk for us and quite steep towards the summit. But I need the exercise. The grass was much shorter here and the path was well worn giving a clear view of what was ahead. Jenny explored the summit and I enjoyed the operating conditions. Some Victorians suggested I move to 20 metres. And I did! 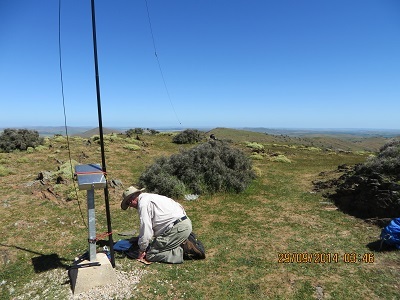 But, I always like to ensure the VK5 chasers have a chance to have a contact first and Larry, VK5LY, kindly spotted me. 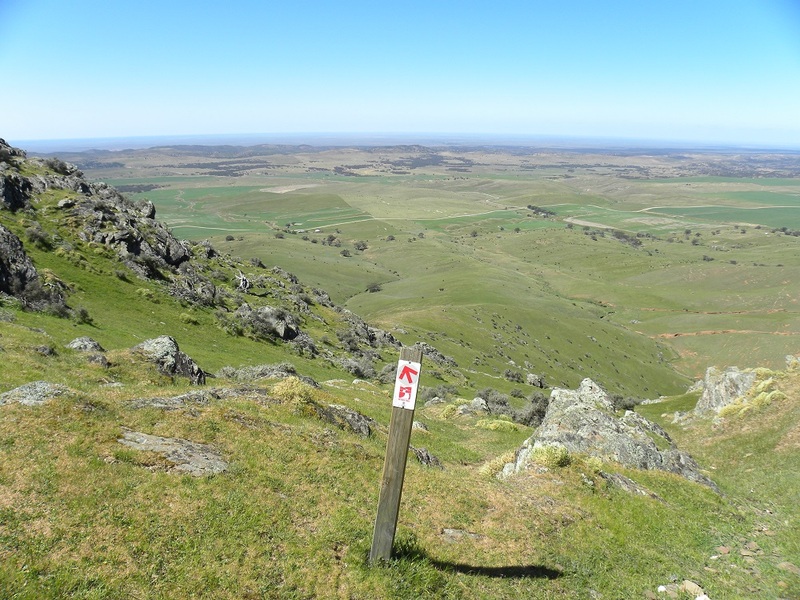 Conditions on 20 metres were really good into Victoria, New South Wales and the ACT. 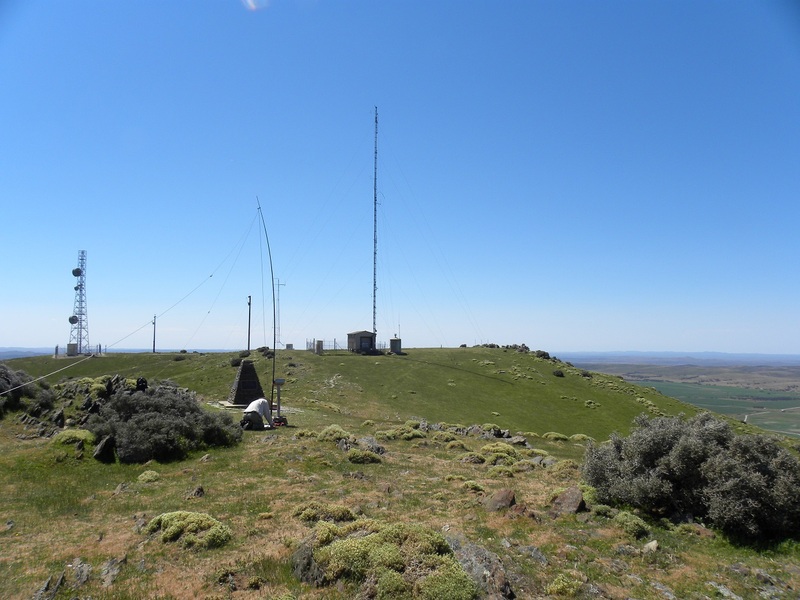 I also enjoyed a contact with Mike, VK6MB, 5 and 8 both ways. Andrew, VK1NAM, gave me 5 and 9: of course he was 5 and 9+ on the FT817. 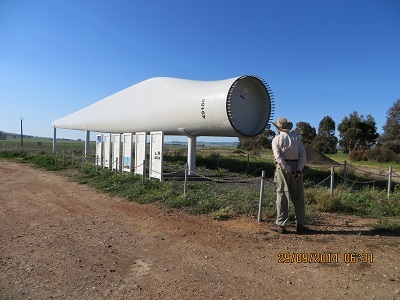 At Mount Bryan township there is a display relating to the Hallett wind-farm which provides sufficient power for 40,000 South Australian homes. A blade from a turbine is on display. There are three such blades for every generator.